Miami Gardens, Fla. (Mar. 20, 2018) The Conquistadors rallied back to defeat the Lions of Florida Memorial University, final score Lions 13 Conquistadors 16. Florida National improved to a record of 9-13. The high scoring game Tuesday afternoon between Florida National University and Florida Memorial University but the Conquistadors battle back after being down 11-3 for the win. 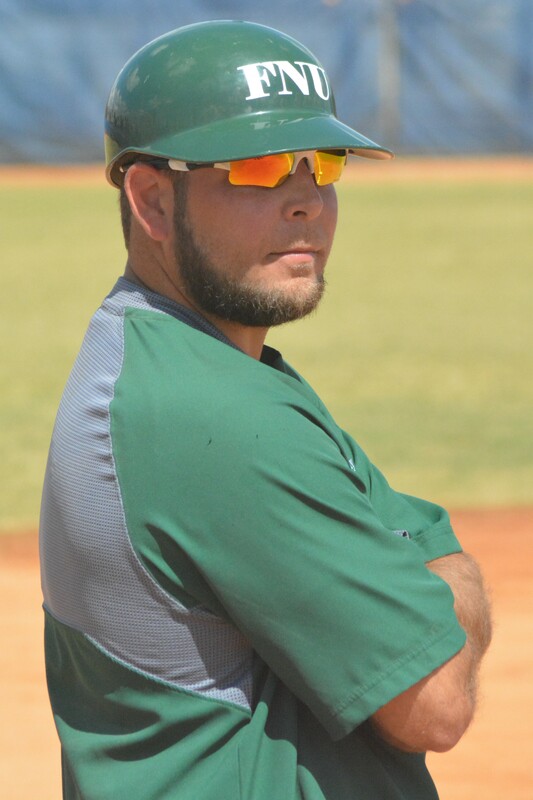 The Conquistadors started off on the right foot scoring two runs in the top of the 1st inning after a double by Ben Murray which was later followed by a two-run single by Stephan Perez Collazo giving FNU a 2-0 lead. The Lions would then answer back by scoring six runs in the 2nd and five runs in the 3rd to jump out to an 11-3 lead. After two FNU pitchers struggled, the conquistadors turned to Gary Matthews who came in to control the Lions throwing 4.2 and only giving up two hits and not allowing any runs. FNU will slowly chip away at the Lions lead scoring 1 in the 4th, 2 in the 6th, and 1 in the 7th making the game 11-7 after seven innings of play. The Conquistadors would not stop there as they add another five runs in the 8th inning highlighted by a three-run home run by Manuel Blanco and a two-run single by Ezequiel Valdez to give FNU 12-11 lead. Florida National would not stop there as they would add four more insurance runs in the top of the 9th with an RBI single by Ben Murray, and a two-run single by Simon Dalmau giving the Conquistadors a 16-11 lead going into the bottom of the 9th. The Lions would answer back in the 9th by loading the bases with two outs brought the winning run to the plate, but Brandon Torres was able to shut the door for FNU to secure the win and earn the save. Ezequiel Valdez, Sergio Rivas, and Jaymark Garcia each had 2 hits apiece. What’s next for the Conquistadores? Friday the Conquistadors will travel to Georgia to play a doubleheader against Thomas University (NAIA) Game 1: 4 PM, Game 2: 6:30 PM.